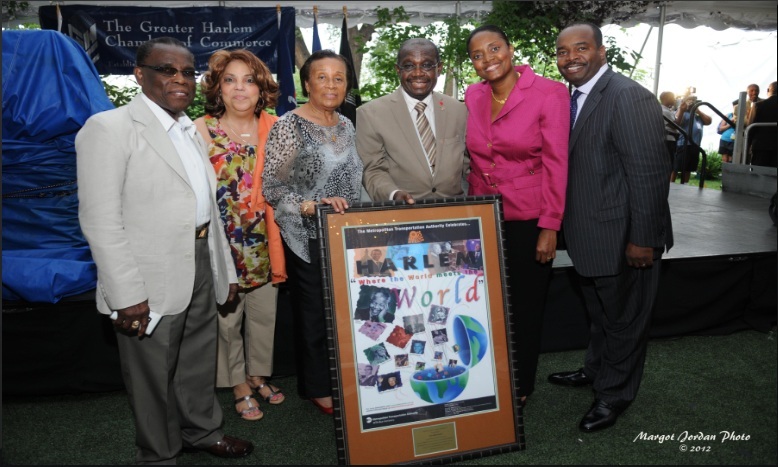 Last Thursday, July 19th 2012, at the kick-off of Harlem Week at Gracie Mansion, the Greater Harlem Chamber of Commerce proudly saluted the newspaper founders, Karl and Faye Rodney for Carib News’s 30 years of providing consistent, timely, accurate and reliable information about what’s taking place throughout the Caribbean. Since it began in 1974 as Harlem Day, the annual celebration, Harlem Week honors the legacy of the various communities in Harlem and pays homage to the local residents, business owners, and politicians to preserve rich tradition of Black history, culture, religion arts and entertainment. This year, Mayor Michael Bloomberg hosted the event. Some of the first appearances on the stage included a performance from the 2012 Tony award winning cast of Porgy & Bess. Afterward, Lloyd Williams and Assemblyman Keith Wright intercepted Bloomberg’s speech with sad news – Sylvia Woods, the “Queen of Soul Food” and owner of Sylvia’s Restaurant, passed away at the age of 86. She was also set to receive an award that evening for the 50th Anniversary of her restaurant. Tine McRae, the special assistant to U.S. Congressman Charles B. Rangel, accepted the honor on behalf of the Woods family. Other honors went to Jackie Rowe Adams in honor of her tireless community activism and commitment to anti-violence. In addition, the two Jamaican entrepreneurs, Karl and Faye Rodney, were recognized for filling a tremendous void in the growing Caribbean-American community in New York and beyond by creating the largest circulating publication serving these communities.